With the rental of vehicle in America Car Rental, car or van, you can drive and explore as much as possible Los Cabos and its contrasting sea and desert surroundings: from the tourist corridor, Cabo San Lucas and San José del Cabo, to the beautiful and refreshing beaches, or simply move from one place to another to see a client or attend that important meeting. Drive and move freely in total safety and comfort, and without having to wait for the scarce public transport, or for someone to pick you up. For your convenience, we are available 24 hours a day, 365 days a year at our branch Los Cabos Airport, so that you can easily and quickly rent a car or truck just at the time of your arrival in Cabo San Lucas or San José del Cape. 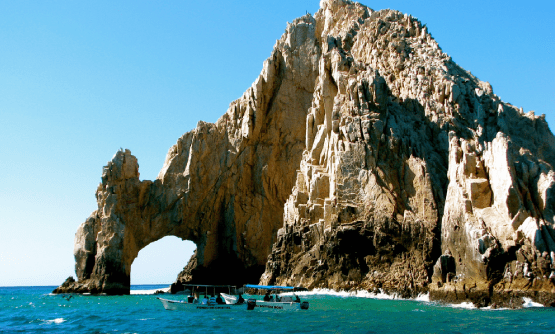 First of all, you should know that there is no specific place called Los Cabos, but there are two small cities: Cabo San Lucas and San José del Cabo, both on the shores of the Sea of Cortez and are linked by the Tourist Corridor. One of the main benefits of a car rental in Cabo San Lucas is that you can fully enjoy, at your own pace, all the places of interest and attractions in the area and its surroundings such as: enjoying the sun and relaxing on its beaches, snorkeling or scuba diving in the Pacific Ocean or Mar de Cortes, have a good time at night with the vibrant nightlife, or explore the nature reserve of the San José del Cabo Estuary. If you are a golf lover, the area is known for its award-winning courses. You can not miss the main attraction of the region: the Arc of the End of the World and a walk through the desert in an all-terrain vehicle or on camels. If you visit the region between the months of December and April, you will also have the opportunity to take a whale watching tour. Like any beach destination, Los Cabos offers a wide range of options for swimming, snorkeling, diving or just laying down to sunbathe. However, consider that not all beaches in this destination are suitable for swimming, due to underwater currents. Playa Palmilla, the most popular for swimming in the San José del Cabo area. Playa El Médano, recognized in Los Cabos for being several kilometers long. Costa Azul beach, optimal for surfers. Playa San José, ideal for exercising and hiking, but not suitable for swimming. El Chileno beach, suitable for swimming. Playa Santa María, a small beach for snorkeling. Playa del Amor, romantic place with spectacular views of the sea. Let us assist you and offer you a fast and efficient service at our America Car Rental Los Cabos branches. 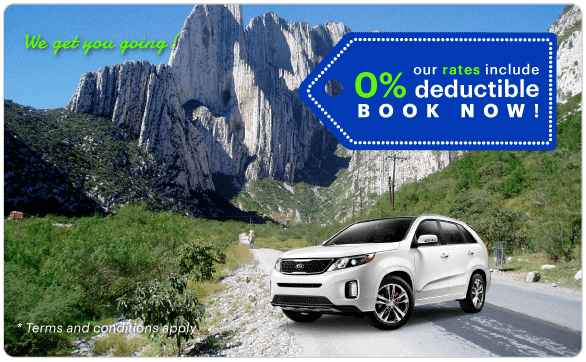 It is VERY Easy to rent a car in Los Cabos! 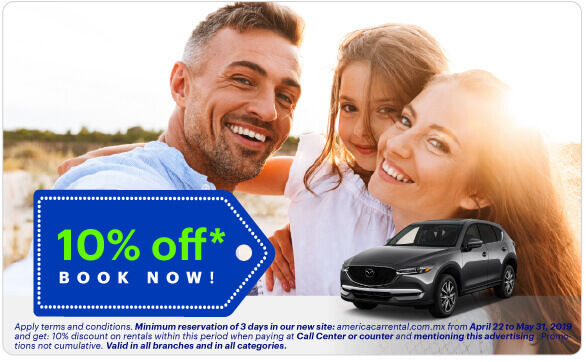 We have the perfect car or truck for you!